There are six national park service sites in South Dakota. One of them is shared with Nebraska: Missouri National Recreational River. 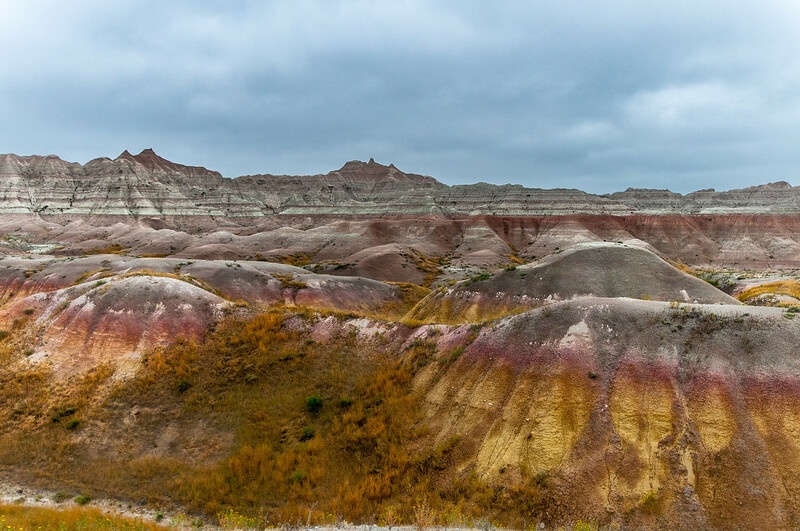 The Badlands National Park kicks off this list of national park service sites in South Dakota. It is located in the southwestern part of the state and measures up to more than 242,000 acres of land area. The landscape is filled with spires, eroded buttes, and pinnacles. It is also the largest undisturbed mixed grass prairie in the country. The wilderness area of the park (about 64,000 acres of land) is part of the park and is the home of the most endangered land mammal in the continent. Another unit of the park is called the South Unit, which the National Park Service co-manages with the Oglala Lakota tribe. Within this site, you will find the same site where the 1890s Ghost Dances were held. You will also find the bomb and gunnery range by the United States Air Force. The property was first named a national monument in 1929 but was elevated to national park status in 1978. Nearly 1 million tourists visit the park each year. The Jewel Cave in South Dakota is the third largest cave in the world. The mapped passageways extend to over 181 miles in length. However, the entire property protected as part of it being named as a national monument is a total of 1,273 acres. The site was established as a national monument in 1908. Jewel Cave was formed through the gradual dissolution of limestone due to acid-rich water that had become stagnant. The water caused cracks to form during the uplift of the Black Hills. This natural activity caused the formation of calcite crystals. The cave is open for tourist visits all year round. It receives an average of over 77,000 tourist visits per year. 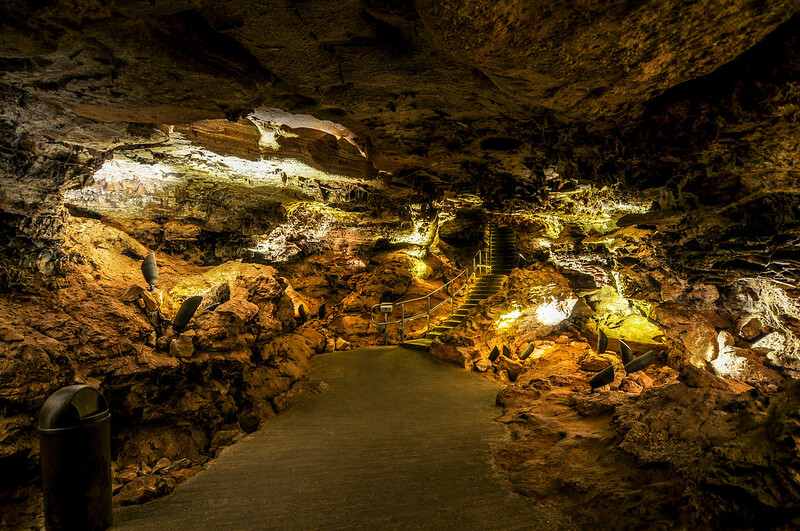 There are three types of tours available for the visitors: scenic tour (lasts for half a mile through scenic and paved portion of the cave), historic tour (candlelight tour that explores the earliest part of the cave that was discovered), and wild caving tour (exploring the undeveloped parts of the cave). Established in 1999, the Minuteman Missile National Historic Site is one of the national park service sites in South Dakota. The site is aimed to illustrate the significance and history of the Cold War, the development of intercontinental ballistic missile and the arms race. It is also designed to protect the last remaining Minuteman II ICBM System in the country. There are three facilities contained within this property: main office, missile/silo launch facility and the launch control center. All of these facilities represent the only thing that is left of a nuclear missile field. This unit of the national park service sites in South Dakota is shared with Nebraska. 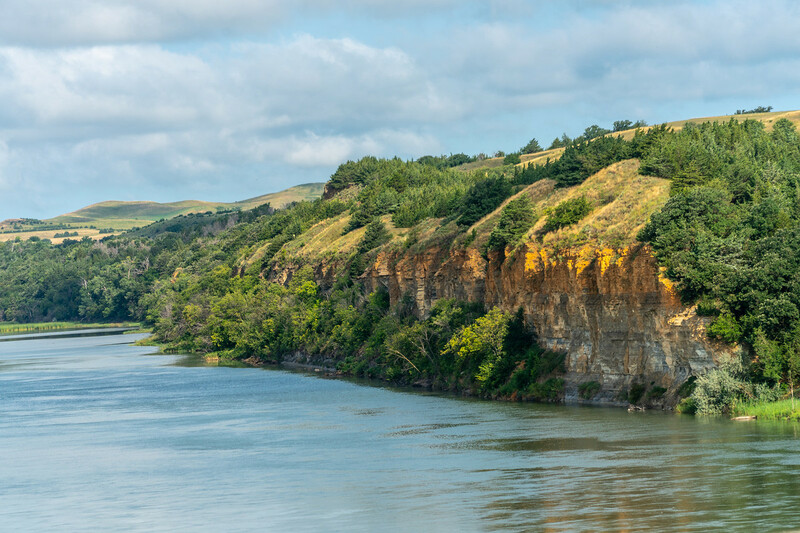 When the site was initially established as a national recreational area, it included the 59-mile section of the Missouri River. However, a 39-mile section of the river was added in 1991. This property represents the only two remaining sections of the river that is not installed with a dam or channelized. The Missouri National Recreational River is managed by the US National Park Service. Tourists who would like to visit the area can head to the visitor centers at either Ponca State Park or Gavins Point Dam. This national memorial is one of the most iconic monuments in the United States. 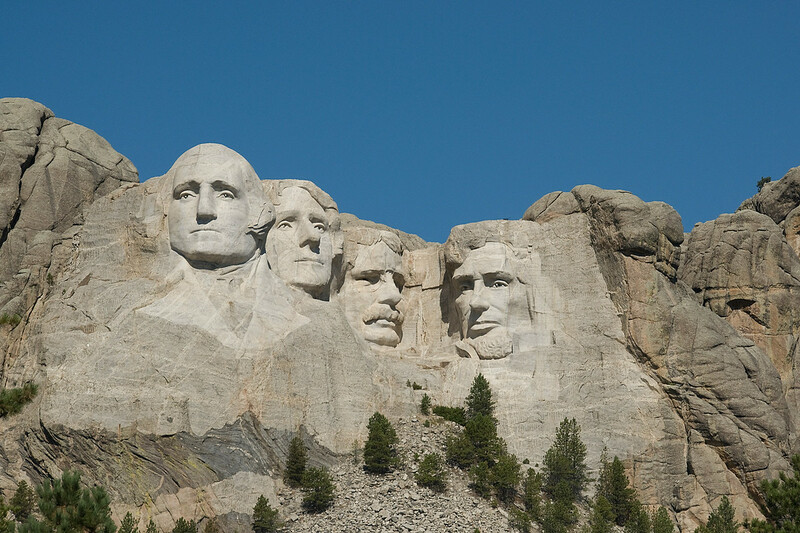 It is known as the Shrine of Democracy that features the 60-foot faces of four American Presidents who were known for representing the birth, development, and preservation of democracy in the country. These were George Washington, Abraham Lincoln, Thomas Jefferson, and Theodore Roosevelt. 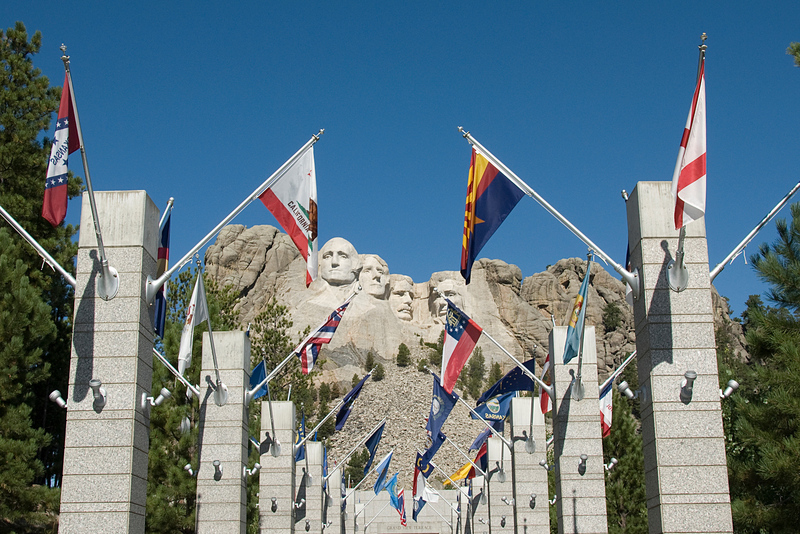 The national memorial is also one of the most popular tourist attractions in Black Hills, South Dakota. As one of the national park service sites in South Dakota, the NPS is tasked at managing this property. This project was started in 1927 and led by sculptor Gutzon Borglum. There were around 400 workers who helped erect this sculpture despite the dangerous conditions on the hills. An average of 2 million visitors come to this memorial each year. The Wind Cave National Park is the 7th US National Park that was established by President Theodore Roosevelt in 1903. It was also the first time that a cave system was named a national park. The cave is an important natural feature in the state due to its calcite formation which is known as box work. It is believed that 95% of the box work formations in the world can be found inside the Wind Cave National Park. Aside from the box work, another notable natural feature in Wind Cave is called frostwork. The three-dimensional maze cave system is one of the distinctive features of Wind Cave National Park. It features the densest and sixth longest cave system in the world!